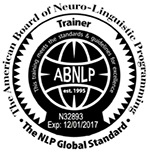 Our NLP Practitioner course is certified by the largest NLP governing body worldwide, the ABNLP (American Board of Neuro Linguistic Programming). If you want to learn NLP with an experienced & certified NLP trainer in the UK who delivers courses in Cardiff, you are in the right place! We’ve got courses running regularly so you’ve got choice over when you train – access our course dates here! Here at Unleash Your Potential, we strive to support you achieve the best version of you, by focusing on supporting you to achieve more, remove what’s holding you back, set the most compelling goals and positioning you to achieve the results you desire … sound good?! Our NLP Practitioner Course is 7 days long with pre-course study that is designed to give you the best experience of learning NLP in an environment where you are free to practice and build confidence in the technology of NLP. 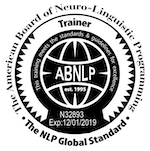 Our NLP Practitioner Course is designed to teach you all the Practitioner level NLP concepts and techniques, so that you don’t only know them, but you know them and how to use them. At Unleash Your Potential we pride ourselves on delivering high quality courses, offering great customer service throughout your experience with us, and providing incredible value for our delegates. Check out our delegate video testimonials dotted around this page – people love what we do, our delivery style and what the course offers them – that’s why a high proportion of our delegates are referred to us by previous delegates …. Why Choose An NLP Practitioner Course? Are you achieving and getting everything you want in your life? Do you have emotional baggage or negative/unhelpful thinking that is holding you back – imagine what you could achieve if you got rid of that? Would you like to learn fantastic communication skills so you can communicate more effectively with yourself and others? Want to understand more about how your mind actually works, so you can make changes that help empower you to reach out and achieve what you want? Are you keen on personal development and would you like to learn additional skills that can help you achieve more? Would you like to learn some of the techniques sport personalities, celebrities, politicians, high powered business professionals around the world and people like you and I can use to get results? If you’re looking to help others through coaching or therapy, would you like to learn how to help others make real changes easily and quickly? Would you be interested in becoming more effective in your career? Want to get out of a rut? Understand how your mind works so you can influence others elegantly? Perhaps you’re a business owner, who wants to remove what’s holding you back so you can take your business to the next level? Be able to change the unhelpful strategies you unconsciously run in your mind (and help others do the same)? Perhaps you’d like to learn how you control your emotions or states? Do you have internal conflicts that you’d like to resolve so you have more energy to do what you want to do? Why book our NLP Practitioner Course? At Unleash Your Potential, we teach NLP in a way that means you can put things into practice straight away. 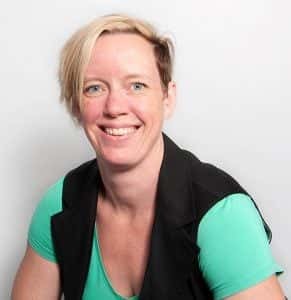 It’s not uncommon for us to have people attend our courses having studied elsewhere – “I left [other providers] course without the skill and confidence to actually do NLP – I’ve now learnt it properly and Laura is simply an amazing NLP Trainer – I’m so glad I found her!’ One delegate left our NLP Practitioner course, used his skills and secured a £6,000 business deal in the weeks after the course and another delegate used NLP with a coaching client two days after she qualified and was in awe at the results her client got! We have all types of people on Practitioner courses. Anyone interested in self improvement, personal development or helping others are welcome on our courses! We’ve had people from all walks of life on our courses from Leaders, HR Professionals, Lawyers, Parents, Teachers, Business Owners, Wealth Managers, Students, IT Managers, Change Managers, Trainers, Personal Trainers, Housewives, Business men/women, Therapists, Counsellors, Unemployed, Barristers, Accountants, Salesmen, Directors, Social workers, Consultants, Personal Assistants, people who have just been made Redundant, Managers, Nannies ………. I could go on, but I am sure you can see that anyone and everyone can and does, come on the course. What will I learn on the NLP Practitioner course? Strategies – learn the visual spelling strategy, how to change the way you think and more! In all types of communication and your everyday life! What's included in my investment? Absolutely. At Unleash Your Potential Ltd we believe in offering our customers increased value when booking additional courses. If you book your NLP Coach course and NLP Practitioner course at the same time you’ll save money. The more you book the more you save!! Contact us for details. As soon as you invest we will arrange for your pre-course study to be dispatched to you and will give you advice on how best to go about completing it, so that you get maximum value from the live training. We are here to help support you successfully qualify as an NLP Practitioner – you’ll find us approachable, helpful and friendly all the way through your experience with us – we can’t wait to see and hear how you can use what you’ve learned to improve you results!